Please call owner Jerry at 917-903-3106. Boat is in Oceanside, New York. 2002 RINKER FIESTA VEE 250 260 HP. MERCURY WITH LESS LIKE 100 HOURS OF WORK. 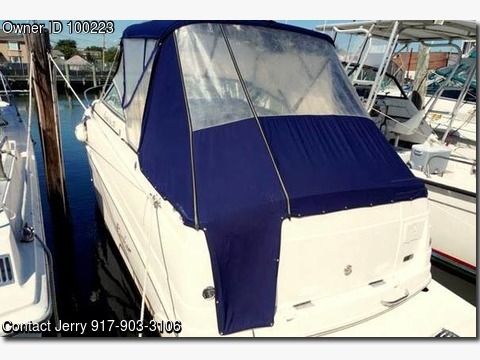 EXCELLENT CONDITION - TV PLUS DVD PLAYER - WINTER PLUS SUMMER COVER -CUSTOM REMOVABLE CARPETS.BATTERY CHARGER, MICROWAVE, REFRIGERATOR,ELECTRIC BILGE PUMP, ELECTRIC HEAD, BIMINI TOP, COCKPIT COVER, COCKPIT CUSHIONS, COCKPIT SHOWER, SWIM LADDER. NEW Navigation with Fish finder. Just had Spring tuneup- READY TO GO. Storage paid till winter at Oceanside Marina.